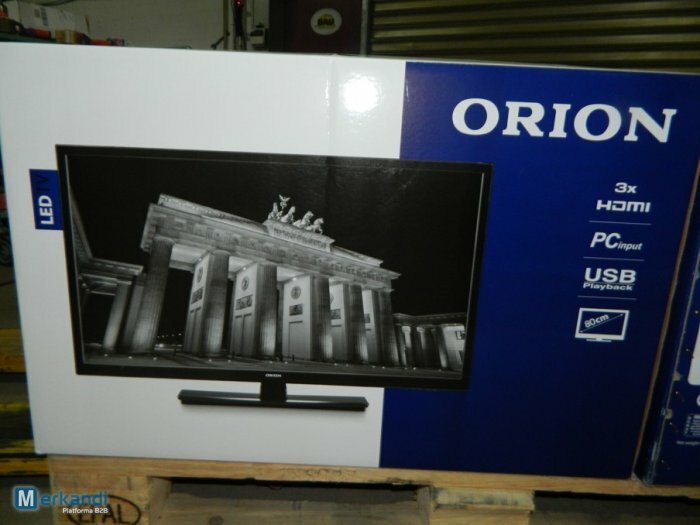 One of the German wholesalers is currently offering for sale a batch of refurbished wholesale television sets. 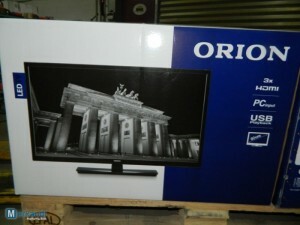 All of these wholesale tvs have been made under Orion brand, as You can see in the picture from below. Some basic specifications of these tvs are: 80cm 16: 9 HD screen anti-reflective, Power-saving LED backlight, 3x HDMI, 1x VGA, 1x USB, 1x PC HDMI audio input. For full specifications, please go to the link at the bottom of this posting. The total available amount of these wholesale tvs is 42 units, but the wholesaler will sell these goods in small lots of +10 tvs each. All of these televisions have been fully refurbished and packed in original boxes with all accessories. Moreover, they are sold under 90 days warranty.